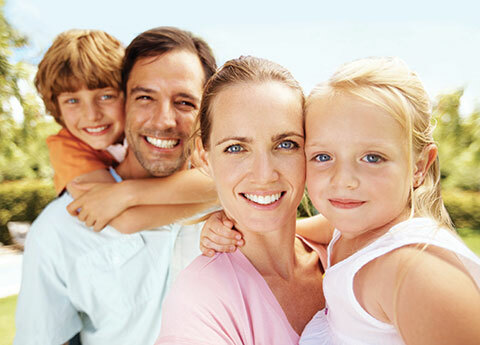 Family Dentist | Lake Jackson, TX | Corby W. Gotcher, D.D.S. We strive to be a “do-it-all” dental practice, while still taking the time to build strong personal relationships with all of our patients. Our patients are truly the heart of our practice, and we treat everyone who walks through our door the same way we'd treat a member of our own family. We provide all phases of dentistry at our Lake Jackson dental practice, from pediatric care and preventive dentistry to cosmetic smile makeovers, orthodontics, and dental implants. No matter what stage of life you’re in, we're here to help you achieve a healthy, attractive, and functional smile. Dentistry has come a long way in recent years, and we’ve equipped our office with modern amenities to help you fully enjoy all of the benefits of our advanced technology. You just might forget you’re in the dental chair! Tired of staring at the ceiling during dental visits? Watch TV or a movie instead! Time flies when you’re entertained. Nothing goes better with a movie than a soft pillow and a warm, cozy blanket. Lay back and relax while we do all the work! Freshen up after your appointment with an aromatherapy towel. You’ll leave our office feeling ready to take on the day. We make dental visits fun for kids by letting our younger patients pick a prize from the treasure chest before they leave. We accept most dental insurance plans, and we’ll even file and track your claims electronically to save you the hassle. We also offer flexible financing options. Visit our Patient Resources page to learn more about our accommodating payment options and policies. Our philosophy is to not only help our patients achieve and maintain a lifetime of healthy smiles, but also to empower them to make wise decisions about their oral and overall health. Dr. Gotcher and our team will thoroughly explain the current condition of your mouth, answer any questions you may have, and discuss all of the treatment options that are available to you. You will never be pressured into completing a treatment you don’t want or need, and you will always leave our office feeling confident and fully-informed about your oral health.